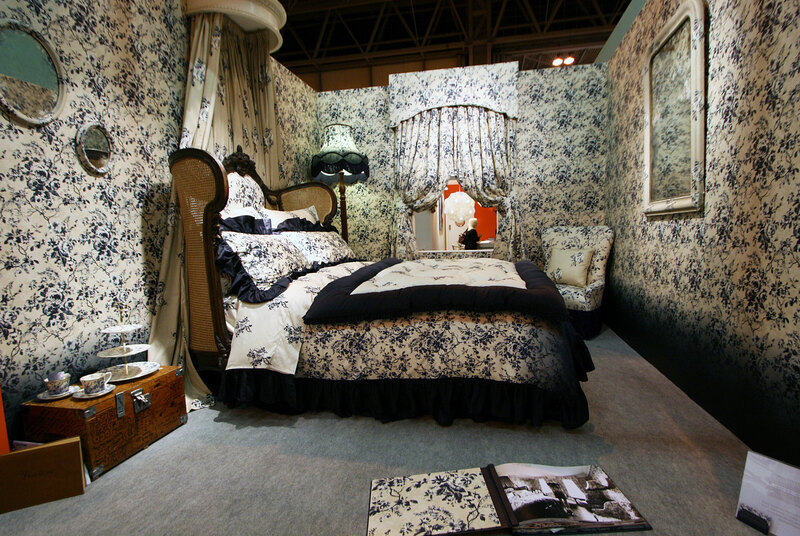 Not only did we get a pop-up pub in the Design Village at Interiors UK but also three funky bed and breakfast rooms. Bit brave of them really as a few of us were pretty tempted to crash out and have 4o winks after walking the huge exhibition halls full of furniture and furnishings, especially the London blogging crew who’d travelled up for the day. 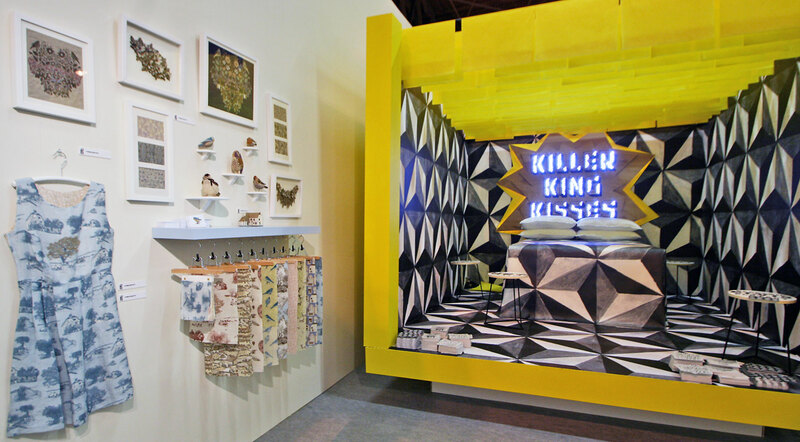 Installation artist Morag Myerscough created a bold geometric space in black, white and yellow back lit with Killer King Kisses mixing typography. 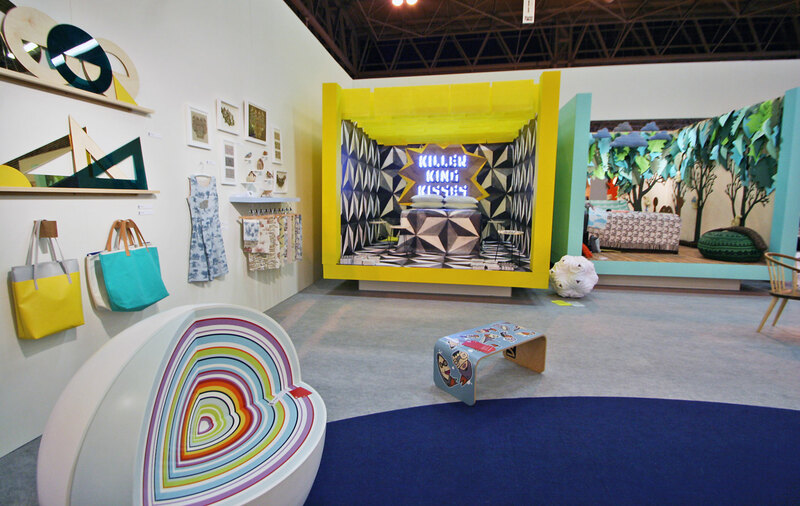 Her work integrates graphics into the architectural environment, a definite Shoreditch / Hoxton boutique B&B. 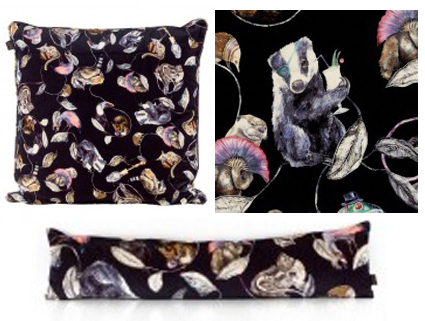 House of Hackney’s quirky pattern-on-pattern look has been described as ‘Colefax and Fowler on acid’ – their rooms typically feature designs that are steeped in tradition but are at the same time non-conformist and eccentric. This is the sort of B&B room I’d love to find somewhere unexpected like in West Wales, traditional yet wonderfully quirky. My favourite of the three I think. Time to find out if they can make that wonderful Hackney Empire draught excluder in an extra long size for Moregeous Mansion’s front door…..